We found this article interesting as it highlights some of the challenges of oyster restoration. Like our contemporaries in New York, we have faced challenges from silt and worries of poaching (although we saw no evidence of this in our work thus far.) The original article appears in The Guardian. The woman sat in the muck beside the Bronx River in the northern part of New York City, measured the oyster between a pair of calipers, and called out to her partner. “31 ... no, 32 millimeters. Um, dead. No, alive! Wait.” She paused, noticing the two halves of the oyster shell had separated and filled with mud. “Dead,” she said sadly. Live oysters were what this small group of volunteers, scientists and activists fervently hoped to find in this distant corner of New York City, called Soundview, on that crystal clear morning in May. The volunteers wore borrowed waders over old sneakers. They ventured out into the dark water, using walking sticks to avoid stumbling in the deep mud that coated the bottom of the river. Reaching down into water, about 20 yards offshore, they pulled out baskets of oysters and carried them carefully back to the riverbank to check for winter survivors. This was phase two of something known as the Oyster Restoration Research Project, run by the New York/New Jersey Baykeeper program, the Hudson River Foundation, the Army Corps of Engineers, and other partners, to restore oysters to an ecosystem they once dominated. In the first phase, the other test restoration locations – off Governors Island, in the Bay Ridge flats, Jamaica Bay – all failed, the oysters washed away by rough waves or smothered to death in mud. The reefs at Soundview are now the only active oyster restoration effort in New York City waters. By building reefs, oysters also make it easier for other organisms such as fish, shellfish, crabs, grasses, and birds, eventually to make a comeback in areas where human development has destroyed their habitat. And oyster reefs, like salt marshes – both of which New York City used to have in abundance – provide a barrier to storm surges, like the one that devastated downtown Manhattan and parts of Staten Island and Brooklyn during Hurricane Sandy. “The idea isn’t to get an oyster industry going,” Dr Fitzgerald said. 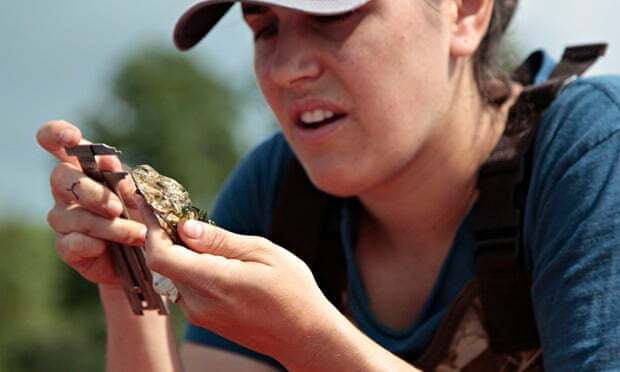 (For that, see the Chesapeake Bay restoration programme) “You want to create oysters for people to eat, you can do that in a hatchery.” This program has led to a diverse group of volunteers out and into the water, she says, and connecting New Yorkers to their natural environment is important.But don’t eat them. Not yet, at least. They might contain the types of chemicals and pathogens sometimes found in New York’s infamously polluted waterways. In the past, contaminated oysters harvested illegally have killed and blinded people. Going forward, poachers are one of a handful of problems facing the restoration effort. There are predators – oyster drills, oyster toadfish, crabs. The biggest obstacle is a confusing and inefficient array of bureaucracies that stand in the way of oyster reefing. 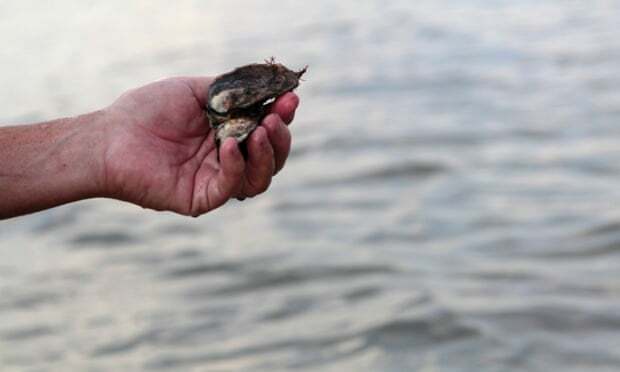 Baykeeper had a proposal to bring oysters back to Freshkills Park, a 2,200-acre reserve on Staten Island that will be two-and-a-half times as large as Central Park, recently turned down by the city. At Soundview back in May, the first field date for the oyster restoration project after the winter snows had melted, the volunteers and scientists found that the oysters’ survival rate was about average. It was a good sign. Just across the river was the new Fulton Fish Market, the second largest in the world, where thousands of pounds of prime oysters are bought every day. New York City oysters haven’t been welcome there in decades.